As usual, you have provided wonderful pictures along with an informative essay. Regarding your use of "selective color"... I personally like this type of accent in a photograph. The colors are not overdone and I think it does a great job of focusing attention much like a vignette would do. I enjoy your creativity and I think many of your readers would concur. Don't stop expressing yourself in a variety of ways. That is what makes photography an art form! I concur with J. Ross regarding your use of "selective color". I think it is striking and if the purists thumb their noses at you, so be it. Keep up the great work. I enjoy your blog and videos very much and I'm looking forward to studying the new ones soon. Your photo of the bug made me chuckle. Jeff; great photos and wonderful explanations to go with them. Your last shot with the selective coloring is different and I normally don't care for this type, but in this case, it caught my eye and it works for this photo. Nicely done! Since subscribing, I have enjoyed your newsletters and always come away with additional knowledge, even at 70.
very nice pictures you took. 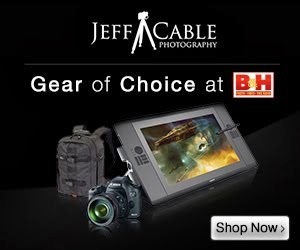 Jeff, I just finished watching one of your great B&H sessions Pixels After Dark: Shooting the Night. It got me to look up your blog and check out some of your fantastic work. I too have found some of my own work is sometimes under appreciated by others, so when I saw your comment about this selective color shot I thought I would chime in. One of my photography instructors once told me to ignore what others think is good unless you want to be a slave to their whims. If you like it, then it is good. I live by that feeling now when I take and post process shots. Keep up the great work and I will continue to follow your blogs now that I found you.